X marks the spot, as the old treasure maps in swashbuckling tales of pirates tell us. However, has BMW hit the spot with this member of the X line-up, the BMW X4 Diesel? Well, ahoy there, me hearties – we’re going to find out. 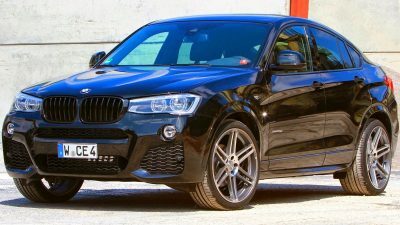 The BMW X4 Diesel certainly looks like a right treasure, what with the stylish crossover design that blends the high stance of an SUV with the curving sportiness of a coupé. From the LED ring of light bi-xenon headlights and the famous kidney grille at the front to the chrome trimmed tailpipe at the back (one of them on the 20d and two on the 30d), and from the 19-inch alloy wheels underneath to the automatically opening tailgate and the little roof spoiler, the BMW X4 Diesel looks more than just shipshape and Bristol fashion: it looks eager and ready for action. However, there’s more to a good car than just a pretty face – or a pretty silhouette. What has the BMW X4 Diesel got in the engine room? This will depend on which variant of BMW X4 Diesel you pick, the 20d or the 30d. The 30d is a three-masted barque rigged fore and aft with… Whoops, that’s ships. It’s an inline six three-litre turbodiesel with common rail direct injection and variable turbine geometry. The 20d, on the other hand, is a smaller turbodiesel (two litres, as you may have guessed) but it still has the common rail direct injection and the variable turbine geometry. Needless to say, both of these two go at a fair rate of knots, with the 30d naturally having a bit more oomph – the sport automatic transmission probably has something to do with that, too. In the power department, the 30d packs a punch of 190 kW and the torque tops out at a juicy 560 Nm; these combine to give it a 0–100 km/h sprint time of 5.8 seconds. The 20d also gets along at a fair clip in the form of 140 kW and 400 Nm, for a 0–100 km/h time of 8.0 seconds, which is still fairly respectable. The transmission has eight gears (not counting reverse, of course), allowing the right amount of force to get to the permanent AWD drivetrain, which has fully available torque split between front and rear. You’re in full control of these thanks to the steptronic auto transmission (sports auto transmission in the 30d) and the wheel-mounted gear shift paddles. When the time comes to throw out the anchors, the disc brakes front and rear will come into play, complete with ABS, cornering brake control, brake assist, braking readiness and dry braking and fading compensation, plus dynamic traction control if needed. Being an efficient little machine, the BMW X4 Diesel also uses Brake Energy Regeneration, which harnesses some of the force absorbed by braking and uses it to take off again when the coast is clear. Other safety features in the BMW X4 Diesel include hill descent control, loads of airbags, a doughty safety body shell that includes side impact protection and impact absorbing zones. Driving the BMW X4 Diesel is a real breeze, especially as both variants have heaps of features to make the job (?) of driving easy and fun. This starts (and stops) with the Start/Stop button, continues to the different drive modes you can select (EcoPro, Comfort and Sport, plus Sport Plus for the 30d) and the variable sport steering. On top of that, you’ve also got dynamic damper control (30d only), cruise control, park distance control and a rear view camera. The 30d also throws in Surround View, giving 360° visibility around the vehicle for helping getting into and out of tight spots. The cabin of the BMW X4 Diesel has been well set up with all that you need to be able to set sail. There’s no need for your first mate (the front passenger) to fiddle around with maps thanks to the navigation system and its 8.8-inch screen, split screen function and 20 GB hard drive storage space for audio files. (But the front passenger will be very comfy in the sports seats with lumbar support and Nevada leather upholstery, so he or she can just sit back and enjoy the sounds coming out the six-speaker (20d) or nine-speaker (30d) sound system and the dual zone air con system.) You can easily stay in touch with your other mates thanks to the Bluetooth connectivity and voice control for the phone. 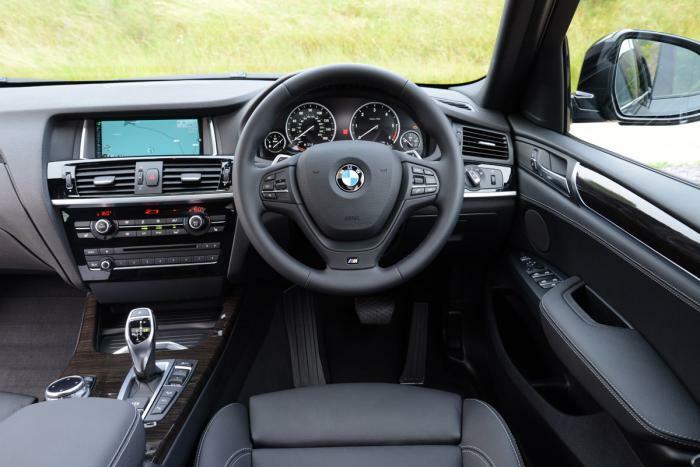 The BMW X4 Diesel has room for a crew of five in its roomy interior, with five-point seatbelts, a customisable interior lighting system and plenty of storage space. This means that you can set sail aboard the BMW X4 Diesel with a family or by yourself easily. So does X mark the spot where the treasure is for you? It certainly does for me! For any more information on the BMW X4 Diesel, or for that matter any other new car, contact one of our friendly consultants on 1300 303 181. If you’d like some fleet discount pricing (yes even for private buyers! ), we can submit vehicle quotes requests out to our national network of BMW dealers and come back with pricing within 24 hours. Private Fleet – car buying made easy!